It can be tricky when deciding from multiple providers when selecting your new internet provider. Whether you are looking for high-speed internet or fiber, there's always seems to be something you're probably not aware of that will make a big difference. That's Where OWN CAN Help! With the rate technology changes and constant evolution of ways to deliver Data & Internet become more complex businesses have realized they either need to employ a full time expert to stay on top of the technology, or make use of industry expert data consultants on an outsourced basis. One World Networks supplies that much-needed expertise for all sizes and types of businesses seeking help with this decision. Contact us today and an expert will be able to present all your options and help you become a fully-informed buyer. 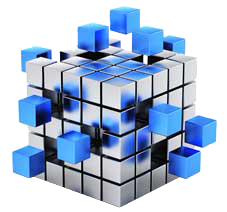 Your FREE Comprehensive Network Assessment. Our company has had One World Networks for a year now. Any time we contact them with a problem or question, Tommy and Christina respond within the day and efficiently resolve the issue. I would recommend them to anyone looking for phone and internet services for their business. Finally... A Company That Gets IT Right! Get the latest datasheets, whitepapers, cheat sheets and more. Hey... what are you waiting for? Click the button below! 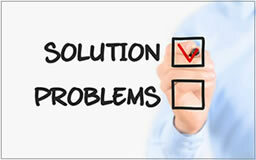 We find the "Perfect Solution" for YOU!